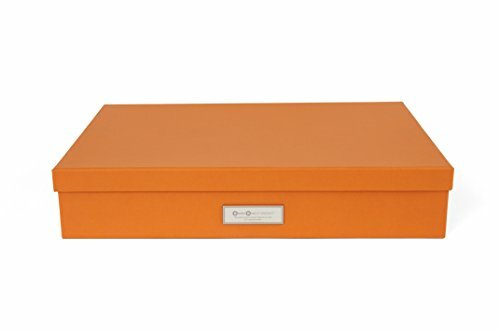 The Bigso Sverker is a stylish and durable document box. It includes a secure-fitting lid and a label window for easy organization. Bigso's paper laminate products have a core of thick, recycled fiberboard. The paper surface covering is applied with water-based glue. The look is contemporary and elegant. Bigso was founded in 1963 and at that time all our products were produced in recycled fiberboard. The emphasis in the beginning was on products that were tucked away in closets and attics. Fiberboard was seen as an economical solution for a range of storage needs for homes and businesses and our entire production went to the Swedish market. Bigso's products have become a major decorating feature in the homes and offices of over 30 countries. If you have any questions about this product by Bigso, contact us by completing and submitting the form below. If you are looking for a specif part number, please include it with your message.